LOS ANGELES, CA – Pens and paper are the typical supplies for many high school students, but that is not the case at Arroyo High School in El Monte. The school is part of a growing program, founded in partnership with a local nonprofit Eco Urban Gardens, meant to help students learn skills in agriculture, environment, and nutrition. Arroyo’s garden club features about 15 students who meet regularly after school to tend to their crops. 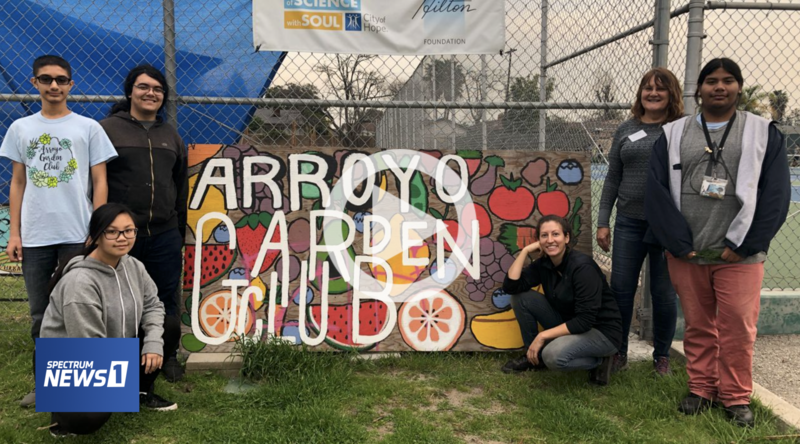 “What school wouldn’t have a garden because it honestly promotes healthy living and gives students a place to chill if they’re stressed out,” said senior Oscar Ramos, the president of the club.